As we’d recently had the pleasure of viewing the exquisite toys and dolls on display at the Ilkley Toy Museum we couldn’t resist the temptation of seeing them once again whilst they were on loan to Harewood House. Harewood is a stately home in North Yorkshire, located mid way between Harrogate and Leeds and it’s the first time in five years that the House and Gardens have been opened during the festive season. 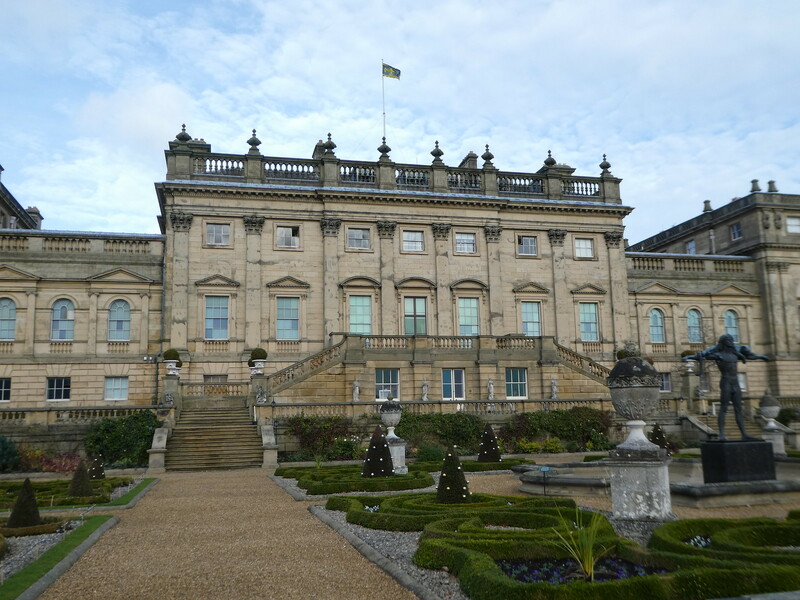 Much of the filming for the popular ITV television series Victoria took place at Harewood and to celebrate this, Michael Howells, the programme’s award winning set designer returned to dress the state rooms and kitchens for visitors to come and enjoy. Edwin Lascelles, 1st Earl of Harewood, started building Harewood in 1759 and employed the finest craftsmen of the time, with no expense spared in creating his palatial Yorkshire residence. The title has now passed on to David Lascelles, 8th Earl of Harewood who lives in the house and is a first cousin once removed of the Queen. Viewing the decorations, it’s not difficult to imagine the lavish celebrations the family must have enjoyed over the years. We started our tour in the Robert Adam designed grand entrance hall with its huge welcoming Christmas tree as its centrepiece, giving us an indication of what lay in store as we toured the state rooms. 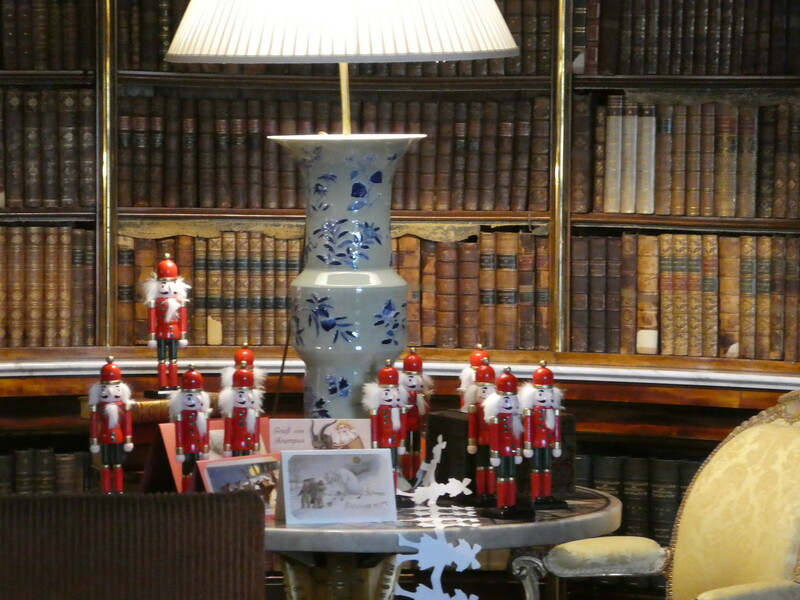 The Drawing Room was resplendent with elaborate Victorian decorations yet still had a homely feel with its roaring fire and displays of toys and dolls on loan from the Ilkley Toy Museum. It’s hard to believe, but at the beginning of the 19th century Christmas was hardly celebrated but towards its end, things began to change rapidly. Queen Victoria introduced one of the most prominent aspects of Christmas, that of celebrating around a Christmas tree, a tradition reminiscent of Prince Albert’s childhood in Germany. It was not long afterwards that almost every home in Britain had their own Christmas tree. The Victorians continued to transform the idea of Christmas and invented the Christmas cracker. This was originally a simple package filled with sweets that were later replaced with small gifts and paper hats similar to those we decorate our dining tables with today. Another festive favourite was the Christmas card which started when Henry Cole commissioned an artist to design a card in 1843. As these were expensive, people started making their own and by the 1880’s the sending of cards had become extremely popular. Continuing our tour of the rooms, the State Dining Room was laid out to give the impression that good food and wine had been enjoyed and the guests had retired to the Drawing Room to relax. It must have been a grand affair sitting around the large Chippendale dining table. In this room we found more toys, board games, toy soldiers and dolls helping to bring the Victorian Christmas to life. 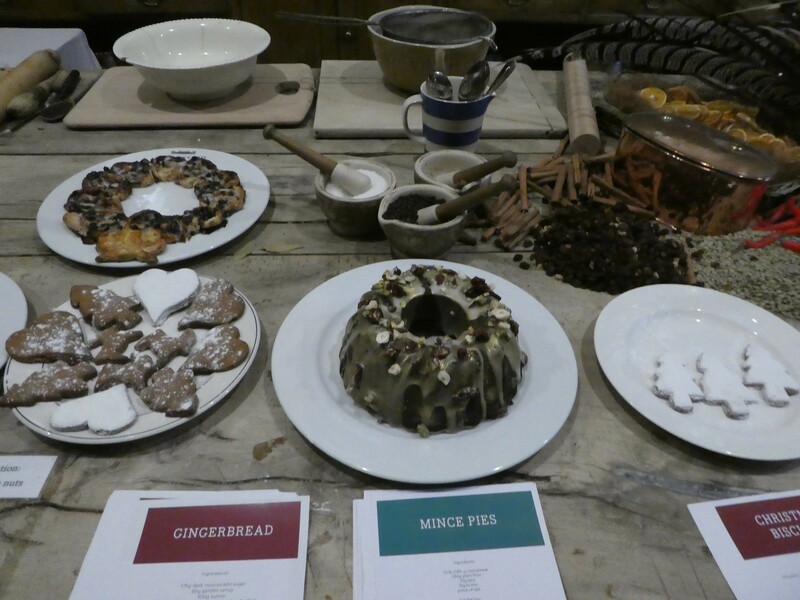 We then took a look below stairs in the kitchens and scullery where we could feel the hustle and bustle of life in service, amidst the preparations for an indulgent Christmas. Food delicacies of the period were on display and we enjoyed collecting some recipe sheets to try at home. These included spiced parsnip soup and red cabbage with walnuts and stilton both of which sound interesting and I think I’ll make at home. Observing all this festive fare was making us feel hungry, so our next stop was to the Courtyard Cafe where we enjoyed a light lunch of vegetable soup, homemade cakes and coffee. 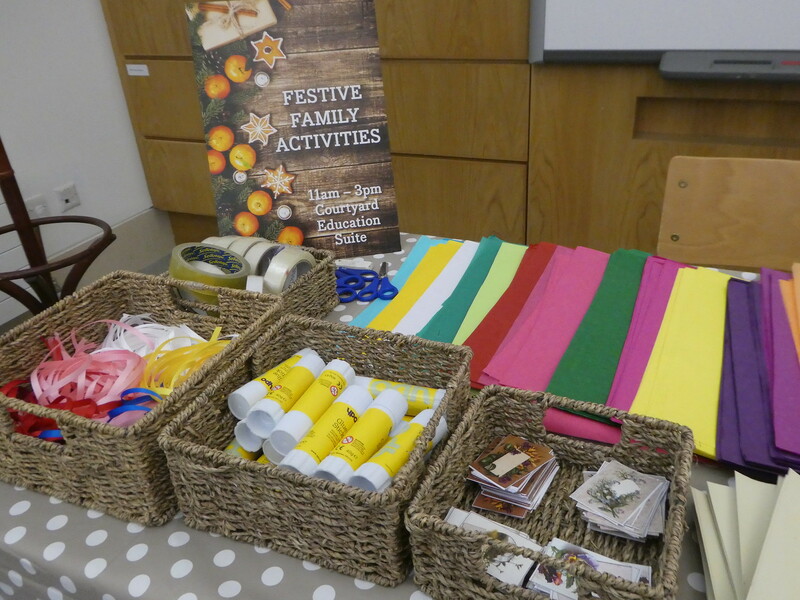 We then looked in the gift shop and the children’s activity centre which was well equipped with craft items and instruction sheets demonstrating how to make both Victorian Christmas cards and crackers. From the courtyard, we explored the grounds and gardens. There are over 100 acres of gardens at Harewood, this magnificent setting having been laid out by Lancelot ‘Capability’ Brown. 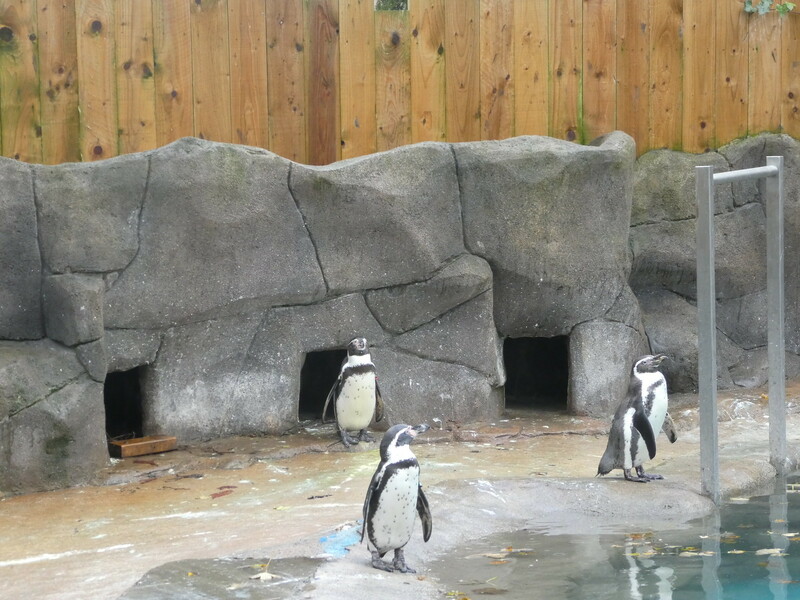 It was a bitterly cold late November day but viewing the bird garden with its penguins, flamingoes, owls and parrots helped to lift our spirits. An unexpected bonus was to see a red kite hover overhead. Red kites were released onto the Harewood Estate in 1999 as part of a conservation initiative involving the RSPB. Numbers have gradually increased and there are now around 300 red kites in this part of North Yorkshire. Before leaving the grounds, we strolled around the lakeside path following the Christmas Carol family trail. From an activity sheet we’d picked up indoors, we searched for clues hidden along the path helping us solve the names of eight Victorian carols – a fun way to complete our visit to Harewood’s Victorian Christmas. 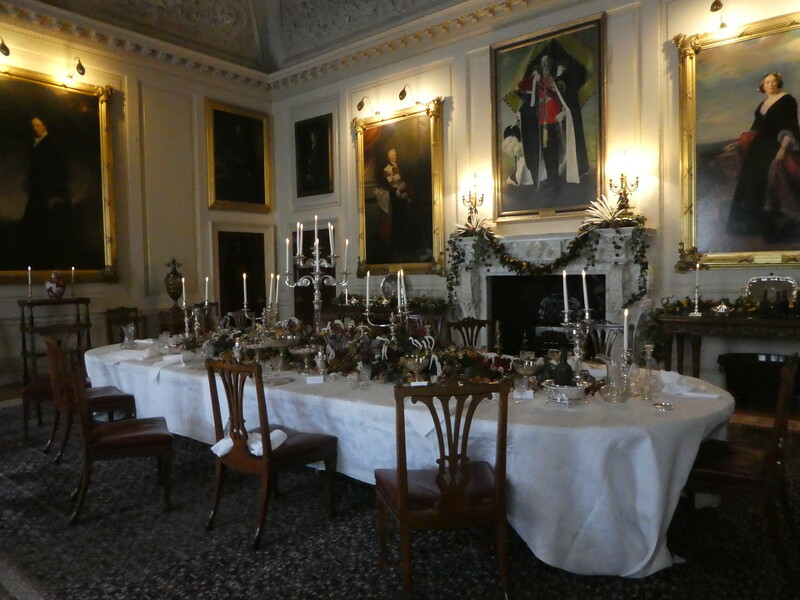 If you are also interested in experiencing The Victorian Christmas at Harewood it is taking place between 24th November – 31st December (excluding 24th-26th December), adult admission is £16. Visitors arriving by bus can gain half price admission on production of their tickets. A free shuttle bus then meets passengers at the main entrance archway taking them down the long sweeping drive to the house. I would like to thank Harewood House for inviting me to attend a preview of their Victorian Christmas. As always all views and opinions are entirely my own. Another great page with more excellent images, well done. I have never been to Harewood but I am planning to be back up that way soon and so I shall certainly include it in my plans. Harewood makes an ideal place to visit if you are in the Leeds / Harrogate vicinity. Totally idilic . Needs a bit of snow which I beleive you now have ! Yes, we woke to snow this morning! Thank you for your kind words. It is hard to imagine actually living in such a remarkable place! Awesome photos and great narrative! Bravo! Thank you for your inspiring thoughts. 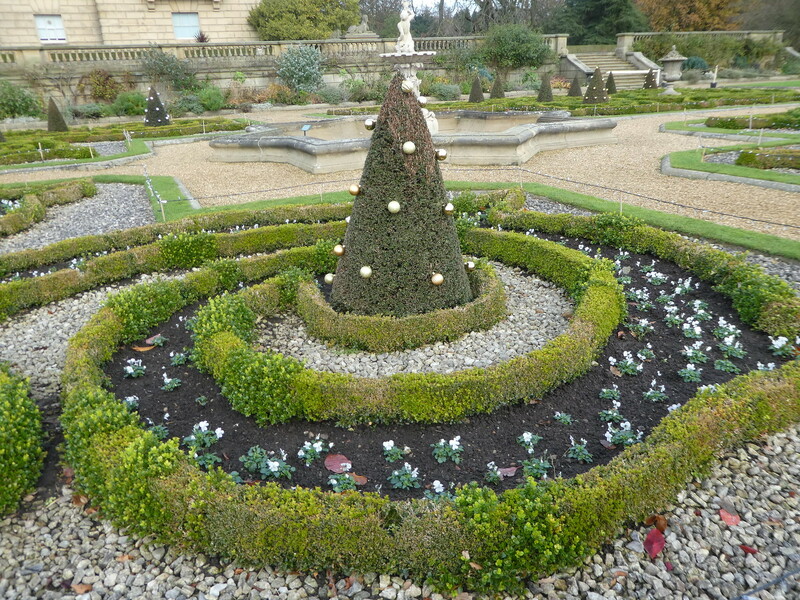 Harewood was a beautiful place to visit at Christmas. Very nicely done bit of history here. I’d like to visit this house one day! Thank you for your kind words. I do hope you get an opportunity to visit Harewood one day. I love Harewood house, used to go often as a kid with my grandparents, looks absolutely gorgeous on your pictures here! Thanks Bob for your kind words. It’s great to read that you enjoyed my post on Harewood. Breathtakingly beautiful. Thanks for sharing these scenes and the history behind them. I’ve ever been to Castle Howard but would like to visit there sometime. It was a very long time ago when we were at Chatsworth as the children were small and I remember one of them slipping on some mud. He was fine but his spare clothes were in the hotel in Baslow! It’s strange how you remember odd things! I would love to return to Chatsworth soon, too. Beautiful photos! Looks like something Carnegie Museum travelers would enjoy! I’m sure Carnegie Museum Travellers would enjoy it a lot. Thank you for your kind words. 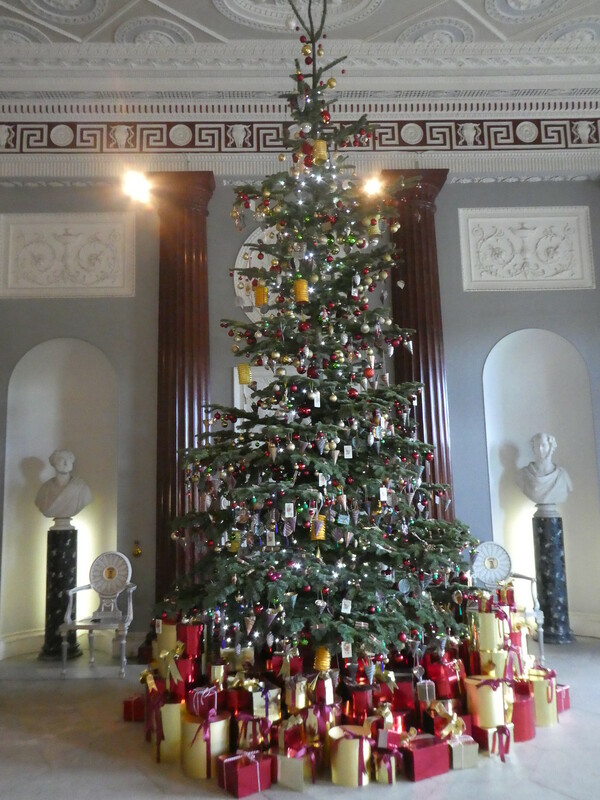 Never been to Harewood the pics look good – now tempted to go and see it especially with the decorations. 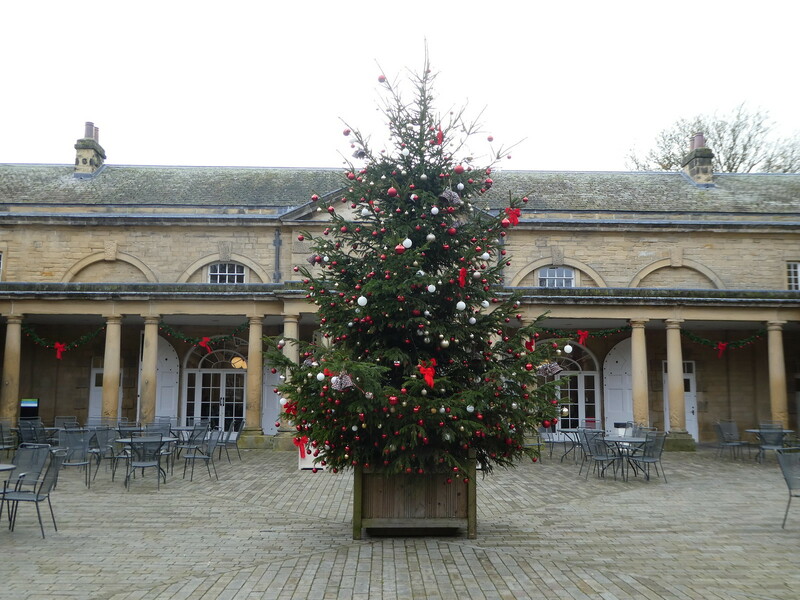 Harewood is lovely particularly now when it’s dressed for Christmas. Thank you for taking the time to comment. Looks amazing and an informative read. I’ve. Instead the gardens as they are dig friendly but not the house. Castle Howard I did visit (without the dog ) back in November and that was also really beautifully decorated for Christmas, angels being the theme this year. Thank you your interesting feedback. I’d really like to make it to Castle Howard before too long. Thank You for this Christmas theme post with beautiful photos. To me it is interesting to see how Christmas is elsewhere in the world. You must remember that Santa lives at the Arctic Circle. Of course, Father Christmas lives at the Arctic Circle – it’s a very special place for him. What beautiful trees. It looks like a lovely spot to start the Christmas season. Oooh that looks so lovely and inviting. I’d love to spend some time there – makes me feel so festive, and its perfect for Christmas time! Love your post. Thank you for your kind words. I hope you get an opportunity to visit Harewood sometime. Wow! Very interesting and beautiful! Of course, I’ll take a look shortly. Thank you for your kind words. This post with your gorgeous pictures gave me palpitations and makes me so happy to be heading to the UK next week, just beautiful. Thank you! Thank you for your kind words. I hope you have a lovely time in the U.K. Absolutely stunning! Loved reading this! I love christmas!!!! The day after christamas! thank you very much telling your triditions. Thank you for your kind words, it’s good to learn that you also enjoy Christmas traditions. Isn’t that Christmas tree along with those presents just lovely Marion. It was absolutely gorgeous Sue. We always get a big, bushy tree but not on that scale! 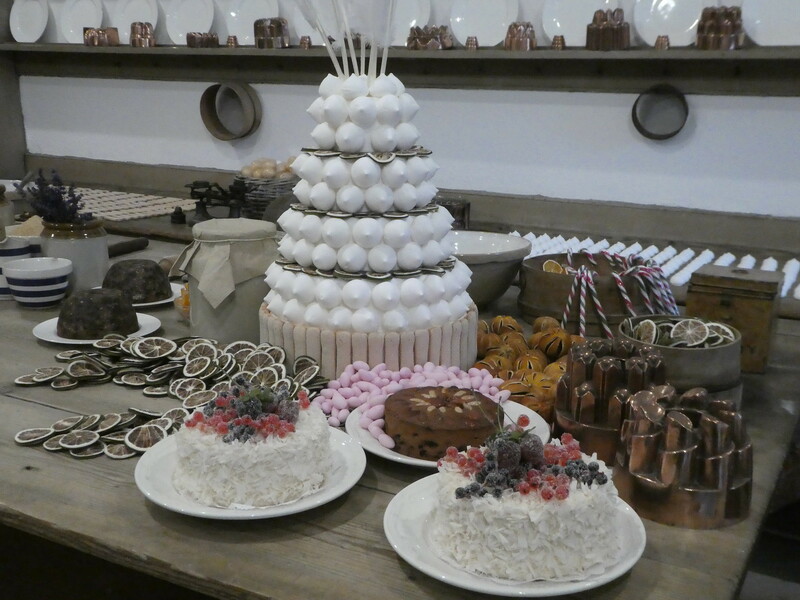 I loved our day out at Harewood House in the summer Marion, I think I would love it at Christmas even more!! It was lovely to see the state rooms dressed for Christmas and to provide me with some inspiration for decorating my own home albeit on a much smaller scale! It was bitterly cold viewing the gardens so I’m sure you saw them at their best when it was warmer Joy. Thanks Marcus, I like to buy a big, bushy tree but not quite on that scale!! That was an interesting point on the evolution of the Christmas tree in British homes under Victoria. I always learn something new from your blogs. Thanks Ian. It’s Geri g that time of year again when I need to order our tree but I don’t put it up and dress it until the middle of the month. A few years back I went to Waddesdon Manor for their Christmas special – very impressive. I’ve also visited the Geffrye Museum in London at Christmas, when the rooms are decorated according to the period they represent. These two places look gorgeous, thank you for sending me links to them. Beautiful pictures, looks like an amazing place to visit. I cannot tell you how much I enjoy this site! Since it’s unlikely that I can return to the UK in the near future, sightseeing with you is a joy. Thank you! Reading your comments made me very happy. It’s so nice to receive such positive feedback. I do hope I continue to entertain yo with my travel writing. 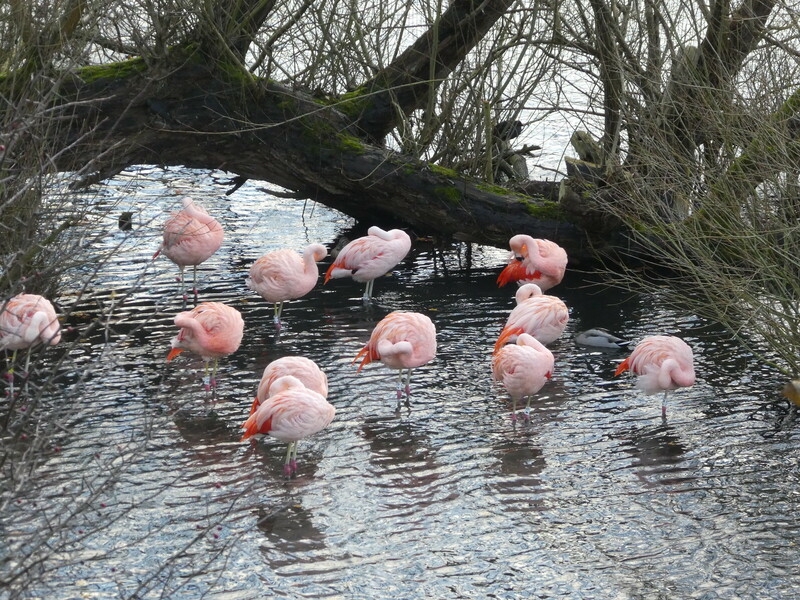 I cannot believe my eyes, pink flamingos in England?! I know a Piia, they are there all the year round too – they must have become acclimatised to our cold climate! Thank you for your ever welcome thoughts, they are much appreciated. Sounds like lovely festive way to spend a few hours. 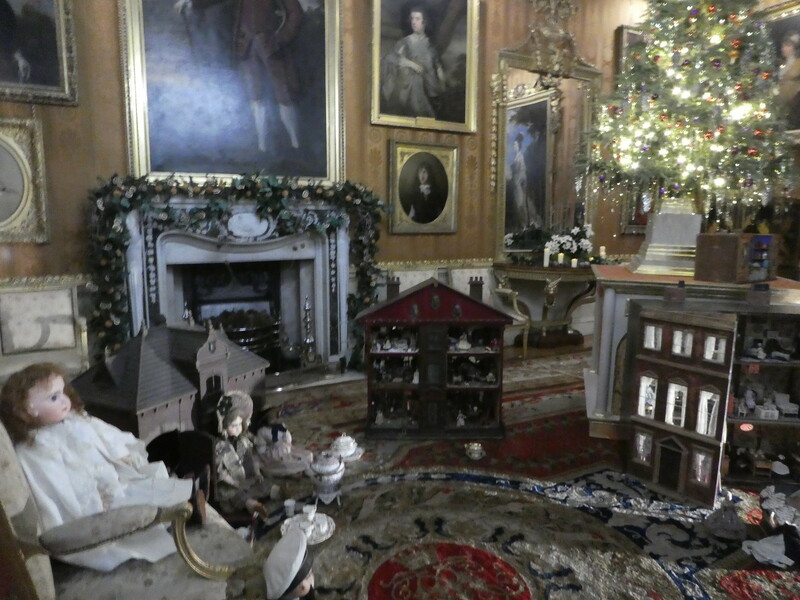 Have you ever been to Chatsworth House at Christmas? They also decorate the house every year, but to a theme not Christmas. This year it’s Dickens, a few years ago it was Narnia. It is beautiful at Christmas. Big Christmas trees and decorations everywhere, the theme display in the rooms – life size models of whatever they’re doing. You should definitely return one day. 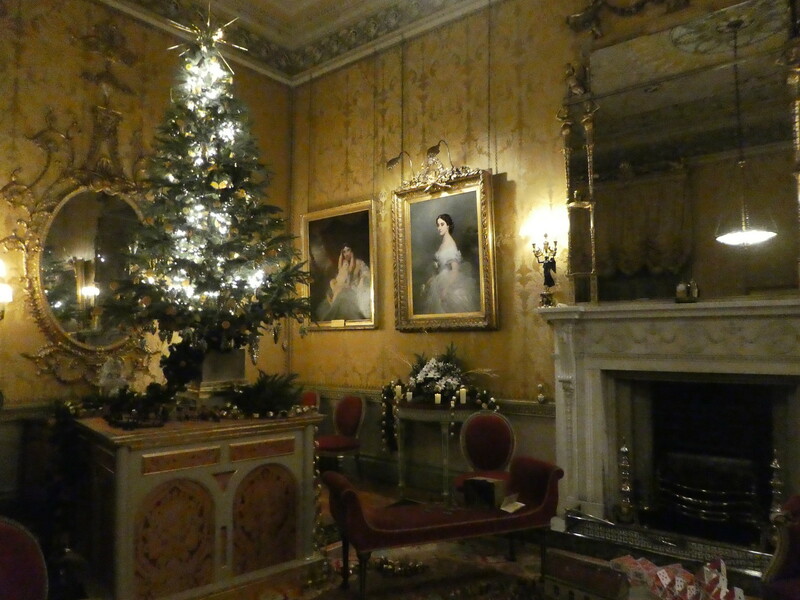 I love visiting stately homes, and even more so when they’re decorated for Christmas. Beautiful pics and so informative. Had no idea that Christmas was a creation of the 19th century. Thank you for celebrating the visit with us. I went to Harewood on the bus once, and got in cheaper. It’s a fascinating place, it looks fab here dressed up for its Victorian Christmas. Interesting that there is an Ilkley toy museum, was thinking of going to Ilkley this weekend so I’m glad I’ve read this first. Hi Jill, Thank you for your welcome thoughts on this post. The Ilkley Toy Museum is actually closed until after Christmas as many of its exhibits are on display at Harewood but I’m sure that you’ll find lots more to do in Ilkley if you are visiting this weekend. Yeah I Googled it, and made that discovery. Never mind, as long as there are other things to do, and hopefully somewhere that sells decent mulled wine. The toy museum can wait.